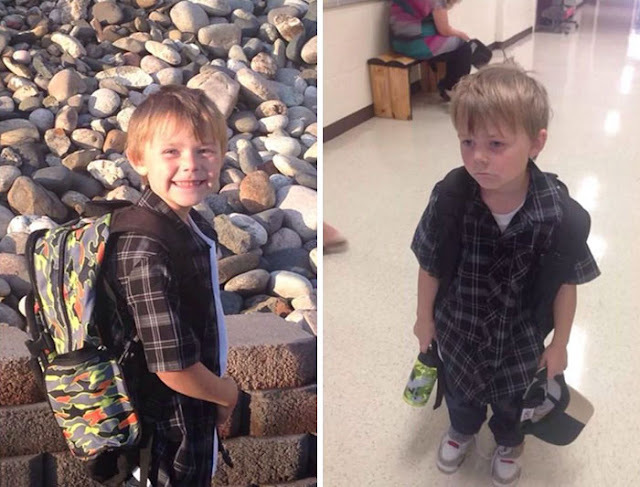 Home › entertainment › pictures › 10 Hilarious Photos Of Kids Before & After First Day Of School. 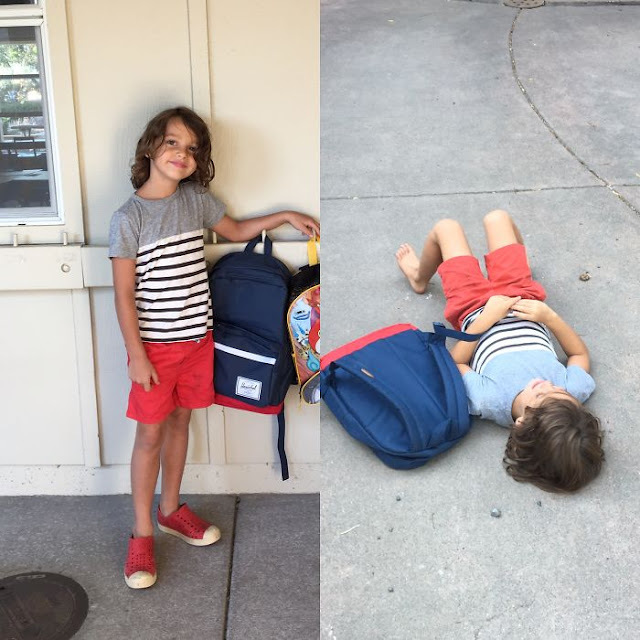 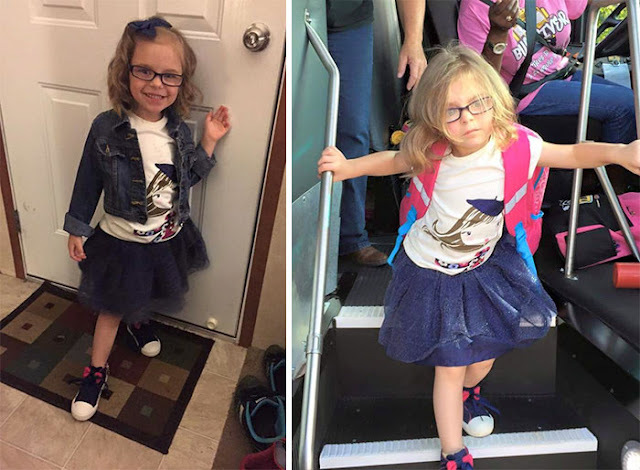 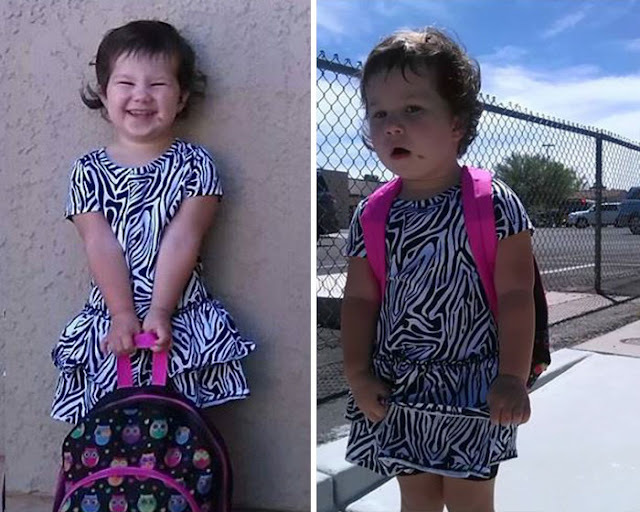 10 Hilarious Photos Of Kids Before & After First Day Of School. 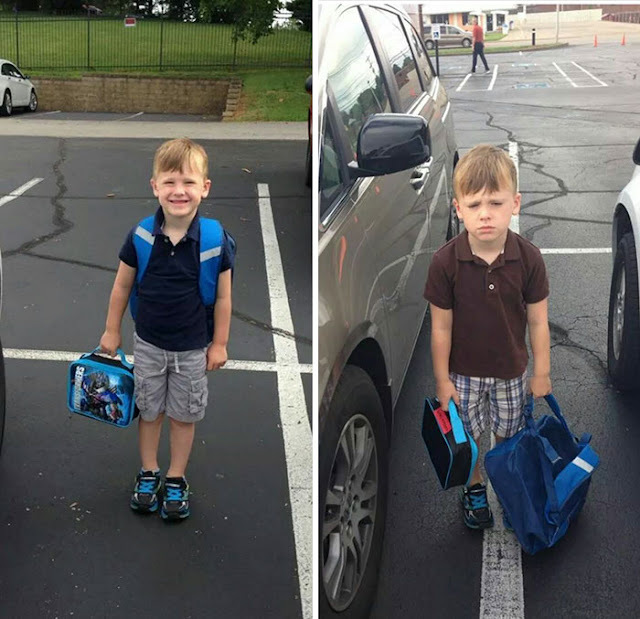 I remember having mixed emotions about the first day of school. 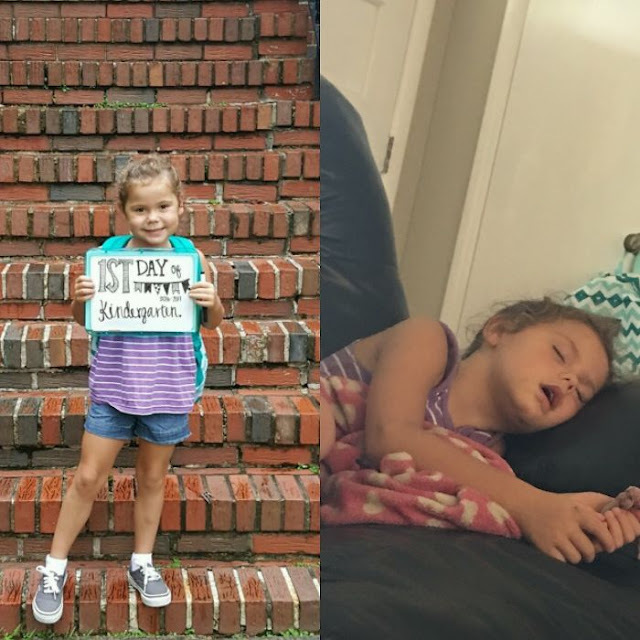 Some days the thought of spending all day away from home was just too much to handle, while others I couldn’t wait to be with my friends. 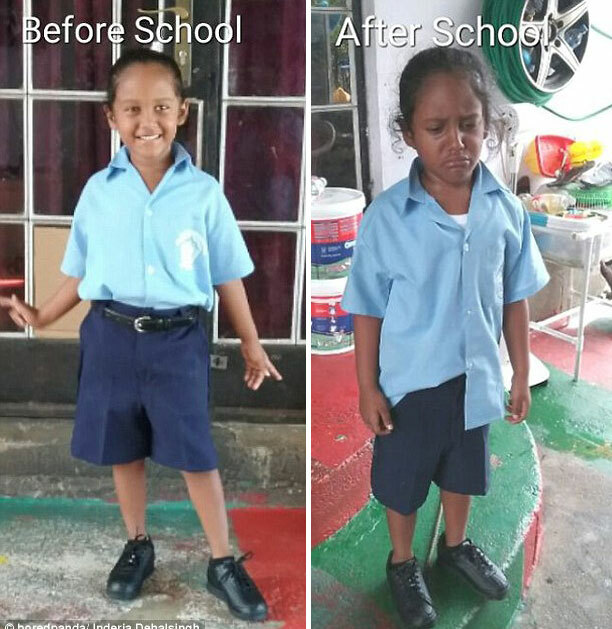 My mom always took our picture on the first day of school growing up – and it was always abundantly clear where my head was at the time. 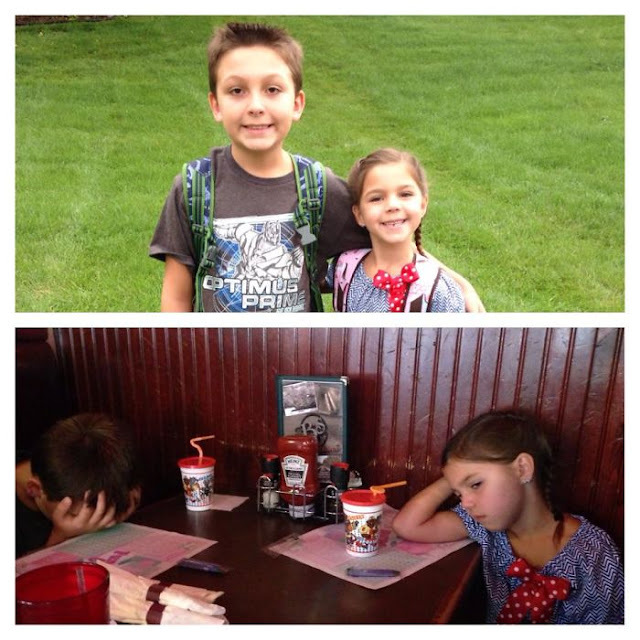 Most of the 19 kids in the list below seem to have had the toughest first day of their lives. 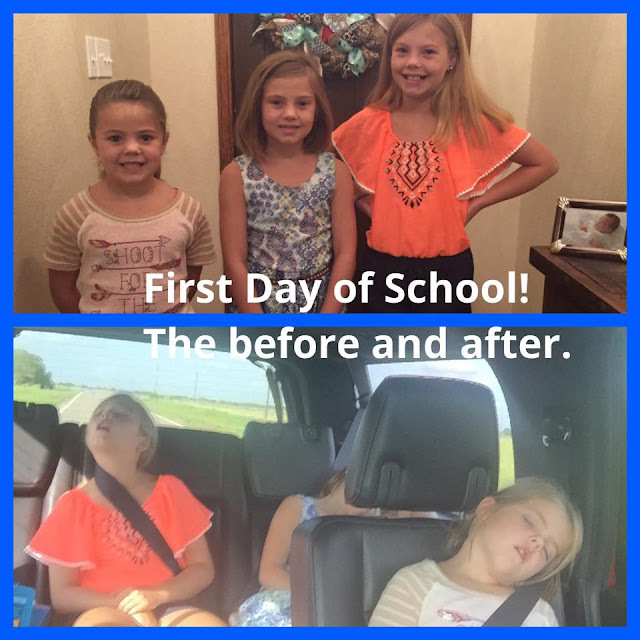 A few didn’t quite make it all the way though without breaking down. 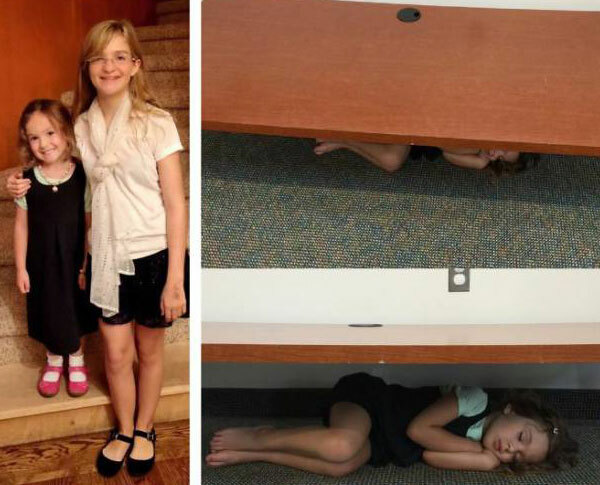 We feel for you kids.